For other uses, see Forward (disambiguation). The Forward (Yiddish: פֿאָרווערטס‎, translit. Forverts), formerly known as The Jewish Daily Forward,is an American news media organization for a Jewish-American audience. Founded in 1897 as a Yiddish-language daily socialist newspaper, it launched an English-language weekly newspaper in 1990. In the 21st century The Forward is a digital publication with online reporting. In 2016, the publication of the Yiddish version changed its print format from a bi-weekly newspaper to a monthly magazine; the English weekly newspaper followed that way in 2017. Those magazines were published until 2019. The Forward's perspective on world and national news and its reporting on the Jewish perspective on modern United States have made it one of the most influential American Jewish publications. The Forward is published by an independent not-for-profit association. It has a politically progressive editorial focus. The Yiddish Forward (Forverts) is a clearinghouse for the latest developments in the Yiddish world with almost daily news reports related to Yiddish language and culture as well as videos of cooking demonstrations, Yiddish humor and new songs. A Yiddish rendition of the Leonard Cohen song “Hallelujah”, translated and performed by klezmer musician Daniel Kahn, garnered over a million views. On January 17, 2019, the publication announced it would be ceasing its print edition and would only be publishing its English and Yiddish editions online. Layoffs of its editor-in-chief and twenty percent of its editorial staff were also announced. The first issue of Forverts appeared on April 22, 1897, in New York City. The paper was founded by a group of about 50 Yiddish-speaking socialists who had organized three months earlier as the Forward Publishing Association. The paper's name, as well as its political orientation, was borrowed from the German Social Democratic Party and its organ Vorwärts. Forverts was a successor to New York's first Yiddish-language socialist newspaper, Di Arbeter Tsaytung (The Workman's Paper), a weekly established in 1890 by the fledgling Jewish trade union movement centered in the United Hebrew Trades, as a vehicle for bringing socialist and trade unionist ideas to Yiddish-speaking immigrants, primarily from eastern Europe. This paper had been merged into a new Yiddish daily called Dos Abend Blatt (The Evening Paper) as its weekend supplement when that publication was launched in 1894 under the auspices of the Socialist Labor Party (SLP). As this publication established itself, it came under increased political pressure from the de facto head of the SLP, Daniel De Leon, who attempted to maintain a rigid ideological line with respect to its content. It was this centralizing political pressure which had been the motivating factor for a new publication. Chief among the dissident socialists of the Forward Publishing Association were Louis Miller and Abraham Cahan. These two founding fathers of The Forward were quick to enlist in the ranks of a new rival socialist political party founded in 1897, the Social Democratic Party of America, founded by the nationally famous leader of the 1894 American Railway Union strike, Eugene V. Debs, and Victor L. Berger, a German-speaking teacher and newspaper publisher from Milwaukee. Both joined the SDP in July 1897. Despite this political similarity, Miller and Cahan differed as to the political orientation of the paper and Cahan left after just four months to join the staff of The Commercial Advertiser, a well-established Republican newspaper also based in New York City. For the next four years Cahan remained outside of The Forward office, learning the newspaper trade in a financially successful setting. He only returned, he later recalled in his memoirs, upon the promise of "absolute full power" over the editorial desk. 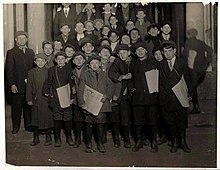 The circulation of the paper grew quickly, paralleling the rapid growth of the Yiddish speaking population of the United States. By 1912 its circulation was 120,000, and by the late 1920s/early 1930s, The Forward was a leading U.S. metropolitan daily with considerable influence and a nationwide circulation of more than 275,000 though this had dropped to 170,000 by 1939 as a result of changes in U.S. immigration policy that restricted the immigration of Jews to a trickle. Early on, The Forward defended trade unionism and moderate, democratic socialism. The paper was a significant participant in the activities of the International Ladies' Garment Workers' Union; Benjamin Schlesinger, a former president of the ILGWU, became the general manager of the paper in 1923, then returned to the presidency of the union in 1928. The paper was also an early supporter of David Dubinsky, Schlesinger's eventual successor. This November 1, 1936, magazine section of The Forward, illustrates its evolution from a Socialist publication to a Social Democratic supporter of Franklin D. Roosevelt's "New Deal"
The best-known writer in the Yiddish Forward was Isaac Bashevis Singer, who received the Nobel Prize in Literature. although other well known Socialist literary and political figures, such as Leon Trotsky and Morris Winchevsky, also wrote for it. By 1962 circulation was down to 56,126 daily and 59,636 Sunday, and by 1983 the newspaper was published only once a week, with an English supplement. In 1990 the English supplement became an independent weekly which by 2000 had a circulation of 26,183, while the Yiddish weekly had a circulation of 7,000 and falling. The Yiddish edition has recently enjoyed a modest increase in circulation as courses in the language have become more popular among university students; circulation has leveled out at about 5,500. 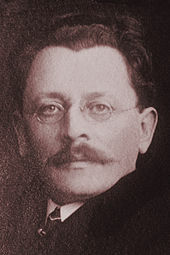 Boris Sandler, one of the most significant contemporary secular writers in Yiddish, was the editor of the Yiddish Forward for 18 years, until March 2016; the new editor who succeeded him is Rukhl Schaechter. From 2013 to 2017, prior to the current format as a monthly magazine, The Forward was published as a newspaper in separate English weekly and Yiddish biweekly editions, and online daily. Each was effectively an independent publication with its own contents. Jane Eisner became the first female editor in chief of the English Forward in June 2008. The previous editor in chief was J.J. Goldberg, who served from 2000 to 2007; since that time he has been editor at large. The paper maintains a left of center editorial stance. In August 2015, The Forward received wide attention for reporting from Iran at a charged moment in American politics, as the U.S. Congress was ramping up to a vote on an accord reached the month before to limit Tehran's nuclear ability in return for lifting international oil and financial sanctions. Assistant Managing Editor Larry Cohler-Esses was, in the words of The New York Times, "The first journalist from an American Jewish pro-Israel publication to be given an Iranian visa since 1979." For a few years, there was also a Russian edition. The website of The Forward describes its formation: "In the fall of 1995 a Russian-language edition of the Forward was launched, under the editorship of Vladimir "Velvl" Yedidowich. The decision to launch a Russian Forward in the crowded market of Russian-language journalism in New York followed approaches to the Forward Association by a number of intellectual leaders in the fast-growing émigré community who expressed an interest in adding a voice that was strongly Jewish, yet with a secular, social-democratic orientation and an appreciation for the cultural dimension of Jewish life." The Russian edition was sold to RAJI (Russian American Jews for Israel) in 2004, although initially it kept the name. In contrast to its English counterpart, the Russian edition and its readership were more sympathetic to right-wing voices. In March 2007, it was renamed the Forum. Around the same time in 2004, the Forward Association also sold off its interest in WEVD to The Walt Disney Company's sports division, ESPN. The name of the publication was shortened to The Forward in April 2015. As of July 2016 the Forward began publishing a monthly magazine. The last newspaper published was the June 30, 2016 issue. For 24 years, The Forward was the home of the column "Philologos". It now runs in Mosaic. At the peak of its popularity, the Forward erected a ten-story office building at 175 East Broadway on the Lower East Side, designed by architect George Boehm and completed in 1912. It was a prime location, across the street from Seward Park. The building was embellished with marble columns and panels and stained glass windows. 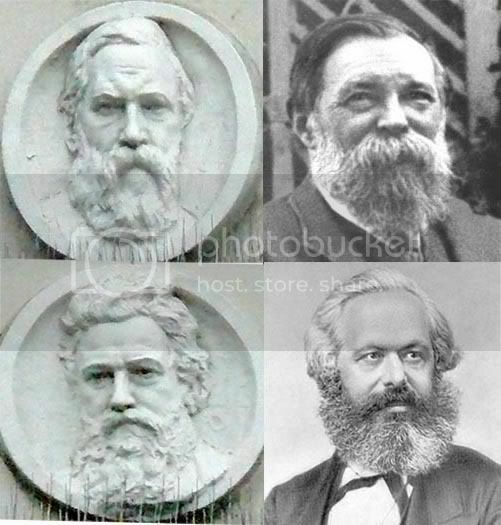 The facade features carved bas relief portraits of Karl Marx, Friedrich Engels (who co-authored, with Marx, The Communist Manifesto), and Ferdinand Lassalle, founder of the first mass German labor party. A fourth relief portrays a person whose identity has not been clearly established, and has been identified as Wilhelm Liebknecht, Karl Liebknecht, or August Bebel. In the real estate boom of the 1990s, the building was converted to condominiums. The "Forward 50" is a list of fifty Jewish-Americans "who have made a significant impact on the Jewish story in the past year", published annually as an editorial opinion of The Forward newspaper since 1994. The list was the initiative of Seth Lipsky, founding editor of the English Forward. According to the magazine's website, this is not a scientific study, but rather the opinion of staff members, assisted by nominations from readers. The Forward does not endorse, or support any of the individuals mentioned in the listing. The rankings are divided into different categories (which may vary from year to year): Top Picks, Politics, Activism, Religion, Community, Culture, Philanthropy, Scandals, Sports and, new in 2010, Food. The list also includes those Jews whose impact in the past year has been dramatic and damaging. ^ "Total Circ for US Newspapers". Alliance for Audited Media. March 31, 2013. Archived from the original on March 6, 2013. Retrieved June 16, 2013. ^ a b Matthew Kassel (May 17, 2015). "The Jewish Daily Forward Is Assimilating". Observer. ^ Sore-Rokhl Schaechter: Groyse enderungen baym "Forverts". Online April 28th, 2016, printed May 13th, 2016. ^ a b "The Forward, 122-year-old U.S. Jewish publication, ends its print edition - U.S. News". Haaretz.com. January 17, 2019. Retrieved February 20, 2019. ^ Ricki Hollander, "Jewish Journalism: Focus on the Forward", 15 November 2017, CAMERA. ^ a b Ehud Manor, Forward: The Jewish Daily Forward (Forverts) Newspaper: Immigrants, Socialism and Jewish Politics in New York, 1890–1917. Eastbourne, England: Sussex Academic Press, 2009; pg. 3. ^ a b Manor, Forward, pg. 4. ^ Dos Abend Blatt was established October 15, 1894 and terminated April 23, 1902. For further bibliographic information, see: Dirk Hoerder with Christiane Harzig (eds. ), The Immigrant Labor Press in North America, 1840s–1970s: An Annotated Bibliography: Volume 2: Migrants from Eastern and Southeastern Europe. Westport, CT: Greenwood Press, 1987; pg. 555. ^ Manor, Forward, pp. 4–5. ^ Manor, Forward, pg. 7. ^ Manor, Forward, pp. 8–9. ^ Abraham Cahan, Bleter fun main Leben. New York: Forward Association, 1927; vol. 4, pg. 342. Quoted in Manor, Forward, pg. 9. ^ a b c d Christopher Gray, "Streetscapes/The Jewish Daily Forward Building, 175 East Broadway; A Capitalist Venture With a Socialist Base", The New York Times, April 2, 2007. ^ a b "Our history", Forward website. Accessed April 2, 2007. ^ "The Victim of Success", Time, December 28, 1962. ^ Alterman, Eric (May 22, 2000). "Back to the Forward. The Nation. Retrieved April 1, 2017. ^ "Boris Sandler Retires as Editor of Yiddish Forward". The Forward. March 9–11, 2016. Retrieved June 5, 2016. ^ Kaplan, Rose (May 17, 2016). "Rukhl Schaechter Leads 'Forverts' into the Digital Age". Tablet. Retrieved April 1, 2017. ^ "A New Editor at the Forward". The New York Times. Retrieved September 4, 2015. ^ a b Besa Luci, "Eisner Breaks Glass Stelya at Jewish Forward," WeNews, July 1, 2008. ^ "J.J. Goldberg". Forward. forward.com. Retrieved April 1, 2017. ^ Cohler-Esses, Larry (August 12, 2015). "A Jewish Journalist's Exclusive Look Inside Iran". The Forward. Retrieved August 19, 2015. ^ Gladstone, Rick (August 12, 2015). "Reporting From Iran, Jewish Paper Sees No Plot to Destroy Israel". The New York Times. Retrieved August 19, 2015. ^ Murphy, Jarrett (January 11, 2005). "Forward Backlash". The Village Voice. Retrieved April 1, 2017. ^ Sore-Rokhl Schaechter: “Groyse enderungen baym Forverts.” Online April 28, 2016, in print May 13, 2016. ^ Eisher, Jane (December 6, 2014). "Farewell Philologos". The Forward. Retrieved February 13, 2017. ^ Decter, Avi Y.; Martens, Melissa. The Other Promised Land: Vacationing, Identity, and the Jewish American Dream, Jewish Museum of Maryland, 2005, p. 104. ^ Rosen, Jonathan. "My Manhattan; On Eldridge Street, Yesteryear's Schul", The New York Times, October 2, 1998. ^ Area Guide Archived November 19, 2010, at the Wayback Machine, Museum at Eldridge Street website. Accessed May 10, 2010. ^ "Today in Yiddishkayt… February 22, Birthday of August Bebel, Political Leader". Yiddishkayt.org. Archived from the original on April 16, 2013. Retrieved December 8, 2013. ^ Pollock, Ariel (Winter 2007). "Boroughing: Das Forvert Building". Current. Archived from the original on April 30, 2015. Retrieved April 1, 2017. ^ a b "Official Website". The Forward. Retrieved June 29, 2011. ^ a b "2009 Forward 50". Forward. Retrieved June 29, 2011. Hoffman, Matthew (March 2010). "The Red Divide: The Conflict Between Communists and Their Opponents in the American Yiddish Press". American Jewish History. 96 (1): 1–31. JSTOR 23887781. Peiser, Jaclyn (October 8, 2017). "Anti-Semitism's Rise Gives The Forward New Resolve". The New York Times. ISSN 0362-4331. Wikimedia Commons has media related to Jewish Daily Forward.